Swedish actor, Bill Skarsgård is well known for his role as a complicated rich boy Roman Godfrey in the Netflix original horror series "Hemlock Grove'. Having present in the film industry since 2000, he was cast as Pennywise in the 2017 remake of the horror film "IT", and has appeared in "Simple Simon" and "Allegiant." Bill Istvan Günther Skarsgård was born on 9 August 1990 in Vällingby, a suburb of Stockholm, Sweden. He is the son of actor Stellan Skarsgård and his first wife, My Skarsgård. 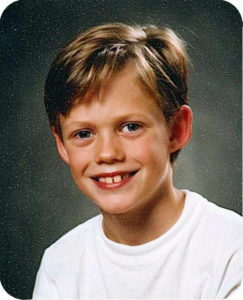 Bill Skarsgård has seven siblings named Alexander (Actor), Gustaf (Actor), Sam, Valter (Actor), Ossian, Kolbjörn, and Eija. Ossian and Kolbjörn are half-brothers from a later marriage between Stellan Skarsgård and Megan Everett. At the age of ten, he began his acting career in the 2000 Jon Lindström-directed thriller film " White Water Fury", playing Klasse along with the film stars Emil Forselius, Rafael Edholm. One of the promising stars in his home country, Bill was nominated for a Guldbagge award in 2011 for his work in "Simple Simon" and has earned positive strong reviews for his acting in Hemlock Grove. Bill's breakthrough role came, when he played Roman Godfrey in the Netflix original horror series "Hemlock Grove" in 2013. The series was created by Brian McGreevy and Lee Shipman. He secured the role for its second season, opening on July 11, 2014. Netflix renewed it for a third and final 10-episode season On September 2, 2014, and the third season was premiered on October 23, 2015. Bill's other screen credits includes Laura Trenter (2002), Spending the Night(2007), Arn – The Kingdom at Road's End(2008), Kenny Begins (2009), Behind Blue Skies (2010), Simon & the Oaks (2011), Anna Karenina (2012), Victoria(2013), The Divergent Series: Allegiant (2016) and Battlecreek (2017). 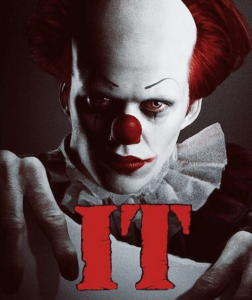 His film " IT" is an adaptation supernatural horror of Stephen King's 1986 novel of the same name, where he played the role Pennywise The Dancing Clown.The new change is set in the town of Derry, Maine and serves 7 children, who come face to face with daily struggles, bullies, and the terrifying jokester. When kids start to go missing, the group is faced with their biggest fears as they square off against the evil clown Pennywise, whose history of murder and violence dates back centuries. He said to Entertainment Weekly about the “extreme character,” specifically its complicated mythos: “He’s not even a clown. I’m playing just one of the beings It creates,” he explained, adding: “What’s funny to this evil entity might not be funny to everyone else. But he thinks it’s funny.” Andrés Muschietti served as a director and written by Chase Palmer along with Cary Fukunaga and Gary Dauberman. It is released on September 8, 2017. Currently, Bill has a girlfriend and has been spotted in many public places. According to daily mail, he took a break from filming " IT" in Toronto to enjoy with his mystery girlfriend on 20 July 2016. As he stepped out in the Canadian city and he kept his eyes shaded with a pair of tortoiseshell -framed sunglasses as he walked hand-in-hand with a girlfriend. The couple identically dressed in gray t-shirts and black pants with black shoes. And both wore serious expressions as they held on tightly to each other as they strolled. This handsome actor, 6' 4", earns a handsome salary from his acting career which adds up his current net worth of $5 million. On the other hand, his older brother Tarzan star Alexander Skarsgård has a net worth of $12 Million. Skarsgård holds a Swedish nationality and belongs to Swedish ethnicity. He is active on social networking sites like Facebook, Twitter, and Instagram.